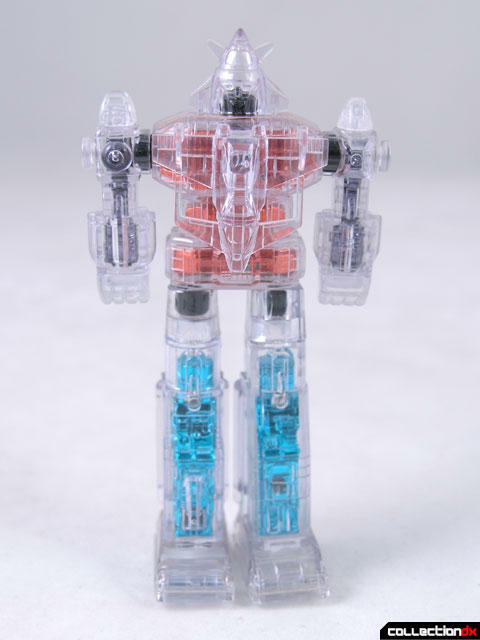 Mechagold is an odd toy, and an odd line. That is, if it's a line at all. I'm not really sure. 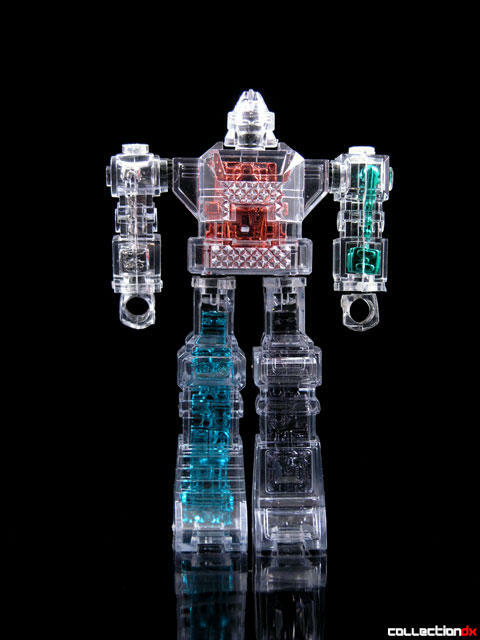 First we had the "MechaClear" line of clear robots with diecast inner parts. I only know of two releases, Dairugger and Godmars. 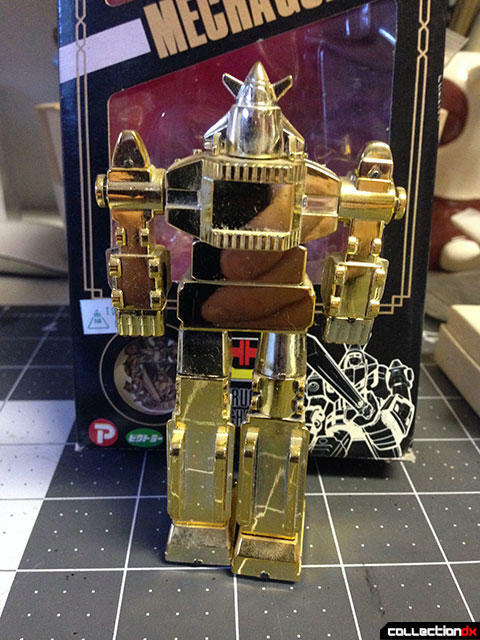 Popy then took the molds and released a MechaGold - the same toy with gold plating all over. It even has the same metal inserts inside the legs, even though you cannot see them this time. 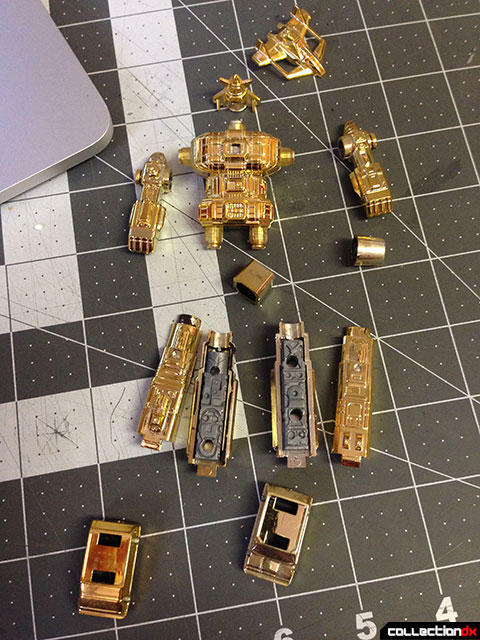 Don't worry, it's not broken, it actually comes apart in all those pieces. The outer shell is plastic while the inner pieces are metal to provide weight. 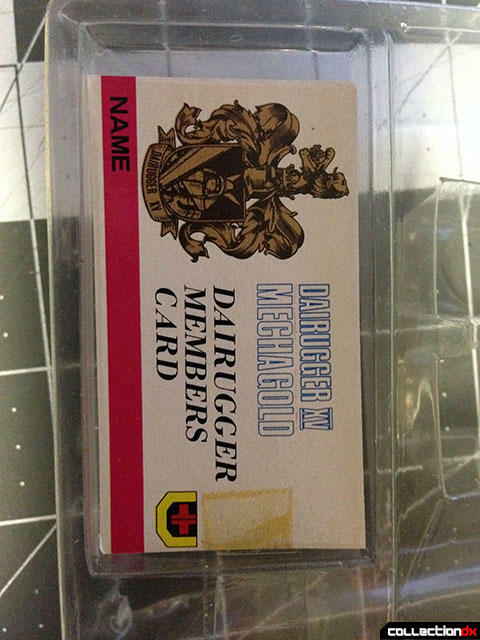 MechaGold even comes with a Dairugger Members Card. I am officially a member of Dairugger now. 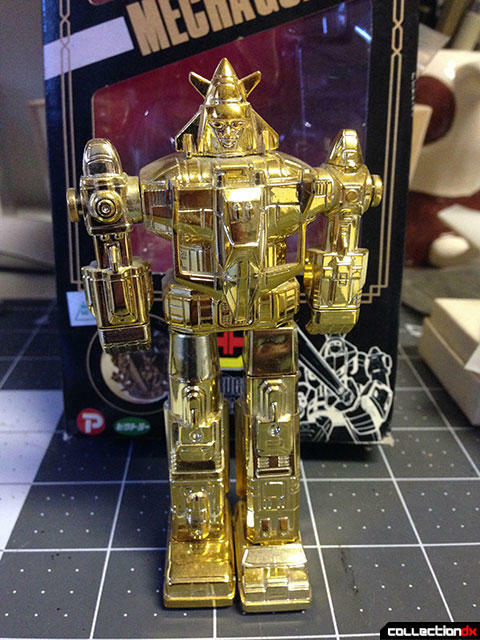 As expected, there is also a MechGold version of Godmars. But the plot thickens a bit more. 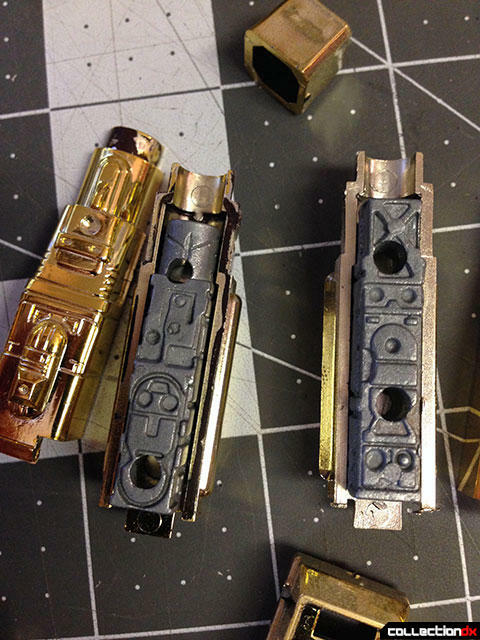 There are on the market some hybrid MechaGold toys - which have both clear and gold parts in a MechaGold box. I at first thought that maybe someone mixed and matched the parts, but all the examples I have seen have the exact same parts swapped out. It's definitely a production variant, one more Dairugger toy I need to track down.